Police said Sunday that Asif Massih, an 18-year-old member of the minority Christian community, was caught “red handed” desecrating the Muslim holy book, the Koran. The incident took place in the central Punjab province. 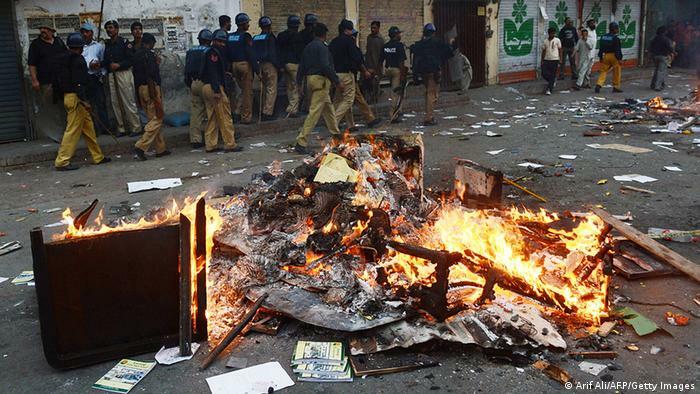 “On the night of August 12, police received a complaint that a Christian boy has been found burning pages of the holy Koran outside the shrine,” Asghar Ali, a police official, told the AFP news agency. Another security official, Pervaiz Iqbal, said a crowd of 200 people had gathered outside the police station demanding that Massih be handed over to them for vigilante punishment. “We then secretly moved the culprit to the police station in Wazirabad where he was interrogated and confessed to his crime,” Iqbal said. Massih was charged under section 295-B of Pakistan’s penal code that makes the death sentence mandatory for insulting Islam. Activists say the laws have little to do with blasphemy and are often used to settle petty disputes and personal vendettas. Religious groups oppose any change to the blasphemy law and consider it necessary for Pakistan’s Islamic identity. In April, 23-year-old journalism student Mashal Khan was killed by a vigilante mob over allegations of blasphemy in Pakistan’s northwestern city of Mardan. At least 65 people have been murdered by vigilante mobs over blasphemy allegations since 1990. Pakistan’s Christians and other religious minorities complain of legal and social discrimination. In the past few years, many Christians and Hindus have been brutally murdered over unproven blasphemy allegations. In one case, a young girl between the ages of 10 to 14 years with Down syndrome, was accused in August of 2012 of burning pages upon which verses of the Koran were inscribed. Rimsha Masih was taken into police custody and only released months later, when charges were dropped. The case caused an uproar in her home town and beyond and sparked riots and violence against Christians in the region. In 2013, she and her family relocated to Canada. Pakistan’s liberal activists blame their country’s authorities for emboldening religious fanatics. “This vigilantism is being supported by the state as well as the judiciary. Religious clerics are fanning hatred. Even the civil society has failed to perform its duties,” Aatif Afzal, an Islamabad-based rights activist and communication strategist with a media development organization, told DW. Government critics and secular writers in Pakistan fear religious extremists and the government alike when it comes to blasphemy allegations, which are enough to put them in prison or get vigilante mobs to lynch them. The “abduction” of liberal bloggers in January – allegedly by Pakistan’s security forces – and the lynching of a secular journalism student shocked activists and the journalist community in Pakistan. There has been increased social media vigilantism, which is forcing critics of the government and military as well as human rights activists to censor their thoughts and words. Activist Afzal says that blasphemy violence will not stop in Pakistan until the government takes firm action against vigilantism and those who wrongly accuse people of blasphemy. “It can be a defining moment in Pakistan’s war against religious extremism. But I am afraid the political parties will not act. They are only interested in securing their vote bank,” Afzal told DW, adding that Pakistani civil society will continue to build pressure on the government to reform blasphemy laws. 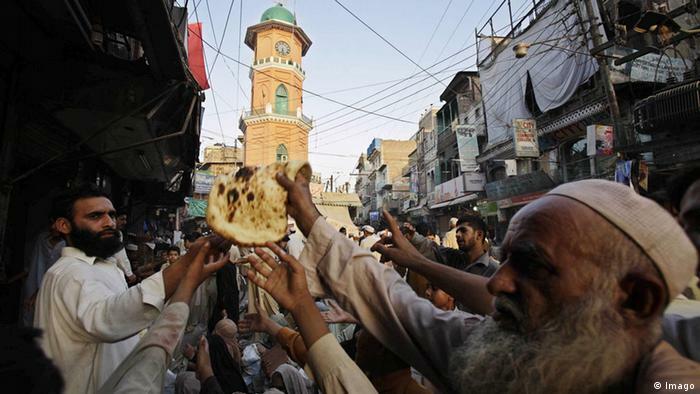 In Pakistan, it is illegal to drink, eat or even smoke in public during Ramadan. You can be sent to jail, heavily fined, or may even be beaten by vigilantes. Earlier this month, the country’s lawmakers introduced stricter penalties that could see people jailed for up to three months for a violation.